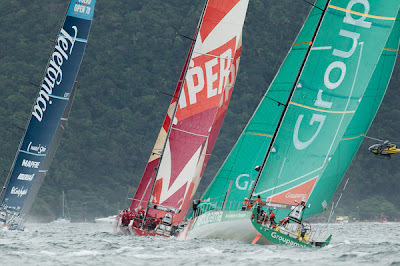 Itajaí, Brazil – U.S.-flagged entry PUMA Ocean Racing powered by BERG wasted no time in stamping their intentions to win the Leg 6 race to their home country, leading the fleet out of Itajaí, Brazil on Sunday and into open waters for the first few crucial days of the 4,800 nautical mile course to Miami, U.S.A.
After a six-leg inshore course off Itajaí’s coast, PUMA were followed around the final mark by Team Telefónica, CAMPER with Emirates Team New Zealand, Abu Dhabi Ocean Racing and Groupama sailing team.The five teams are in hot-pursuit of the maximum 30 points, which could prove vital as overall leaders Telefónica hold just a 16-point lead over second-placed Groupama with four legs to go. 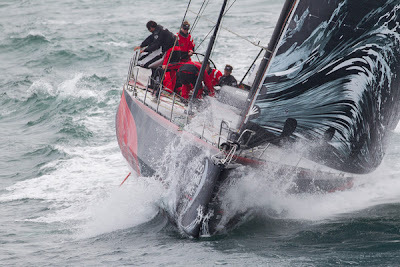 The fleet will face more moderate conditions than those encountered in previous leg starts, with about 14 knots from the southeast creating perfect reaching conditions for the opening hours. The weather is expected to intensify as the crews near the South Brazil Bight, where a violent low-pressure system with wind in excess of 30 knots awaits. 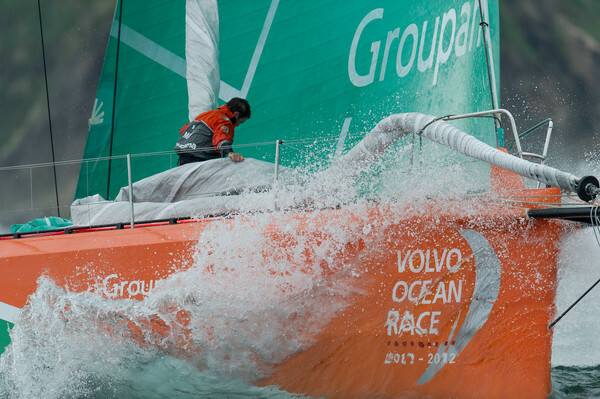 There are plenty of other weather obstacles littering the course from Itajaí including tropical weather systems, strong currents and the dreaded Doldrums. A tricky transition from the low-pressure system into the south-southeast trade winds will also be crucial.The teams will have to weigh up whether they choose to chase the trade winds further offshore, or take advantage of a strong coastal current and sea breezes inshore in the race to the Caribbean. The final 1,300 nm stage from the Caribbean to the Miami finish line could prove to be a drag race, but violent lows that develop in the Gulf of Mexico and north of Florida near Cape Hatteras could give rise to an overtaking lane. 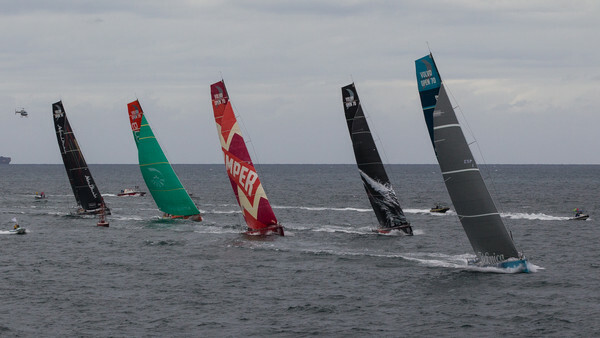 Five boats were at the start line for Leg 6, with Chinese-entry Team Sanya currently being transferred to the United States via commercial ship due to a broken rudder last month. They will re-start for Leg 7. 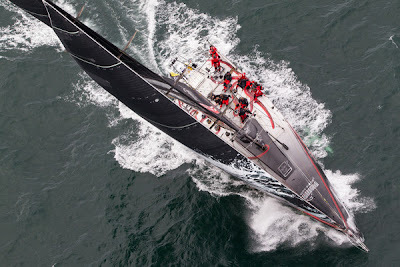 Four of the other five boats needed significant repairs over the past weeks in order to prepare for Sunday's start but incredible around-the-clock work by the team shore crews in Brazil had all the boats ready for an exciting two-week race to Miami. Boats are estimated to arrive around May 6 into Florida. The race last stopped in Miami a decade ago during the 2001-02 edition.